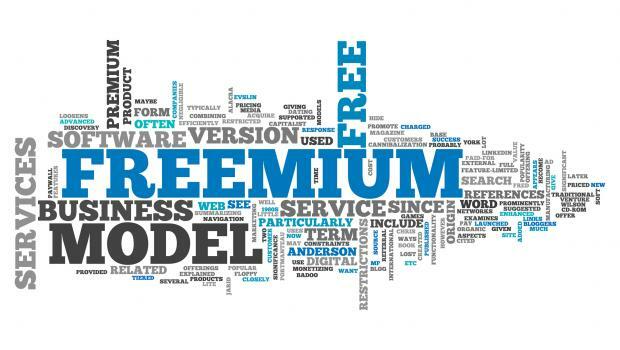 I took part in an interesting discussion about when the popular ‘freemium’ model for web apps is viable. Startup dogma says that scalable software/web products must be (at least partly) free, so it’s worth reiterating the downsides of this approach. UK supermarkets are currently locked in a price war to try to grab market share, so let’s imagine Tesco were crazy and desperate enough to offer free cases of beer to all shoppers. Do you think their overall sales would suddenly rise that day? Or would freeloaders come from around town to collect free beer… and then buy their groceries from Asda or Sainsbury’s, as usual? Giving away free products, including free web apps, discourages users from thinking about whether they value the product – and would ever pay for it. Often free attracts the kind of time-rich, cash-poor user who will go to extreme lengths to avoid paying – so frustrating the ‘pay for extra convenience’ premium package of many freemium models. Conversely, offering a free trial and taking payment options up front confirms that customers can and will be able to pay. GoToMeeting’s CFO found their conversion rate of ACTIVE trial users to paying customers was 45% when credit card details were taken up front – as opposed to 3% when they were not. Most freemium products report less than 5% of active users paying for the service, with the conversion rate generally closer to 1% if you look at all users (including inactive). So with a standard consumer subscription fee of $20/month you would have an Average Revenue Per User (ARPU) of $20 x 12 x 1% = $2.40. To get to a respectable turnover of $10m per year, (I’d suggest the minimum aim for an Angel or seed funded startup) you would need over 4m users. 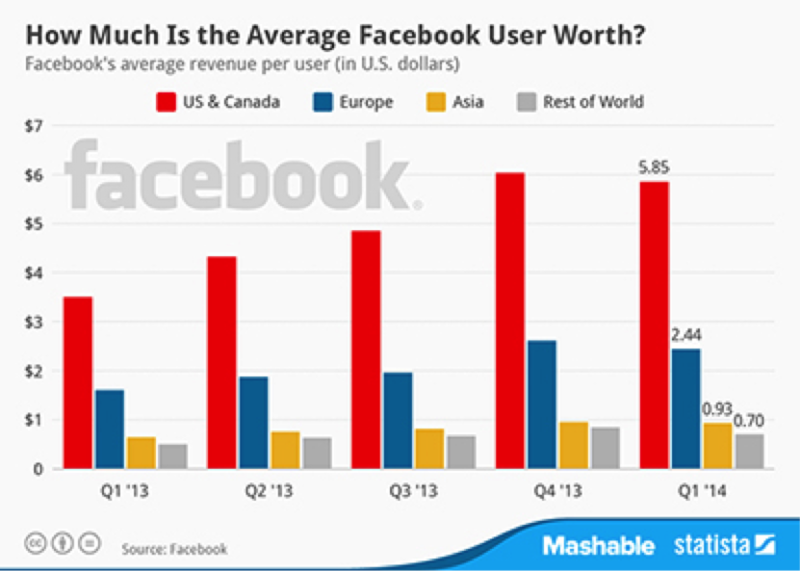 And to get to VC-exit/IPO scale you would need 50m users. That is achievable for mass-adoption products like Evernote and Dropbox but really isn’t if you’re in a niche market like schools. There are less than 4m teachers in the whole of the USA, and expecting to get more than 10% of them adopting your product is cuckoo-land talk. For example, Busuu (a language learning marketplace) boasted 45m million users last year but only $12m in revenue – under 30 cents per user. 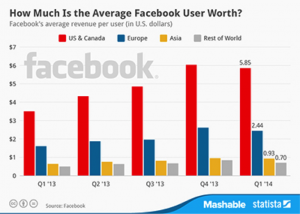 Busuu is probably just safe with a huge market, but for an app with impressive global traction that is a very small reward: Facebook makes $6 per user per year just from advertising. If your lifetime value per user is $3 – since the average subscription length is likely to be around a year – there are very few marketing options beyond SEO or word-of-mouth. You can’t justify affiliate deals, pay-per-click or display advertising if you can’t afford to buy customers. e.g. If you buy a keyword for even $0.30 you would need a bullish 10% signup rate even to break even on the marketing spend. Freemium businesses have genuinely got to sell themselves, and so must focus on the product first. The exact opposite was ScreenSelect (which merged into LoveFilm and then Amazon film rental) – customer growth could be bought with the predictable recurring revenue. All LoveFilm did, was promise a marketing agency the first few months of a customer’s subscription payments, and the agency worked out which tactics would be profitable at that level. See William Reeve’s great explanation of the economics. But that only worked when the customer lifetime value was $100 or more. A big trap in startup business model innovation is following pundits saying ‘freemium is really working for X company’ when ‘working for’ means they are getting loads of users and publicity. In itself publicity is a good thing – ‘product as the message’ – but it will only translate into profit if there is a massive market to capture. Here’s the dirty secret: many venture-capital funded businesses are more focused on user growth than revenue because hyper-growth of users increases their valuation faster than moderate revenue growth. So don’t copy them if you plan to grow your company without massive VC funding! What they have in common is mass-market, simple tools with massive international business audiences, and masses of venture funding behind them. But there are plenty of other former tech darlings who flamed out before making the critical mass of users – e.g. Helpstream in 2010. For many businesses, the fabled networked effects of all those free users will be out-weighted by the opportunity cost of not charging some of them from the start. To profitability and beyond! Have any questions? Comment below or get in touch!